There are growing concerns that the NHS is considering closing some services including A&E departments in the face of rising demand and chronic underfunding of our health service. Locally, Croydon GPs have been told by NHS England to work with doctors and health service managers in Kingston, Merton, Richmond, Sutton and Wandsworth to draw up plans for how care will be provided over the next five years. 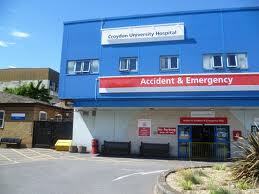 The last time similar plans were proposed, Croydon University Hospital was one of three earmarked for potential closure, although the plans were eventually dropped after a massive public outcry. The new proposals, whilst still at a very early stage have been drawn up without any consultation with patients or the wider public. Labour believes the public must have a say in decisions about local hospitals and vital health services. Media reports about possible closures are a direct result of the secrecy in which these plans have been developed and the sooner they are made public, the better.